Our highest quality standpipes/watering posts are available in three designs to fit all kinds of gardens, allotments and other outdoor spaces. Ideal for caravan and camping sites and pitches, as a watering standpipe. The classically designed Original will fit seamlessly into most spaces and is available in Sandstone, Granite and Charcoal finishes. The Natural Stone effect post is supplied in Granite, Dark Granite, and Sandstone finishes and fits perfectly into areas where rocks or small stones are used as garden decoration. The Wooden effect post comes in a Walnut finish, and its natural appearance will complement any garden or other outdoor area. The standpipes can be used as part of a rainwater harvesting system or with mains water. 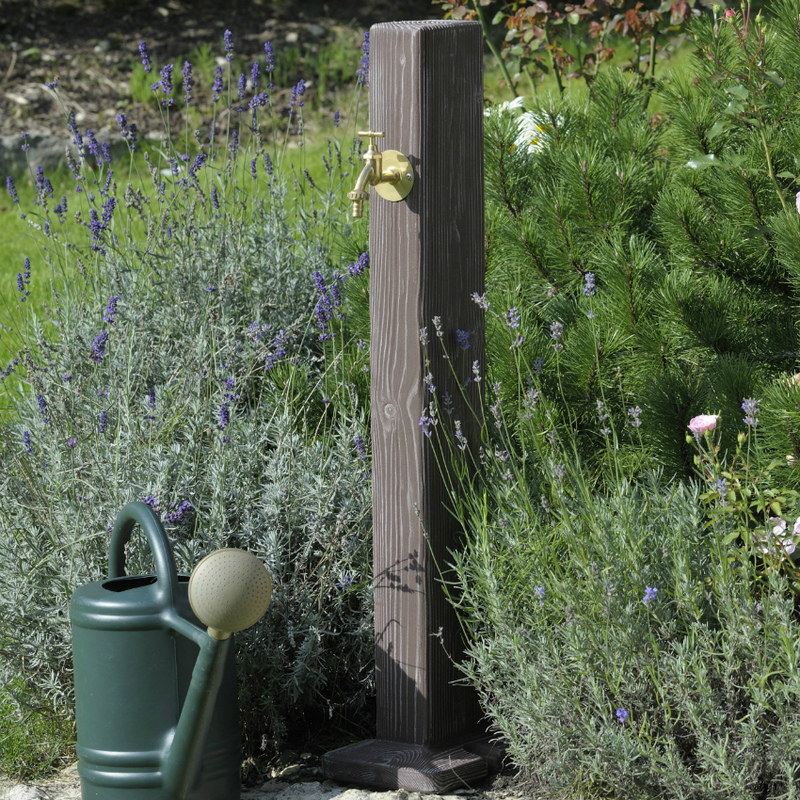 The Original Watering Post provides easy access to water for outdoor gardening and cleaning and is ideally suited to use with a rainwater harvesting system. 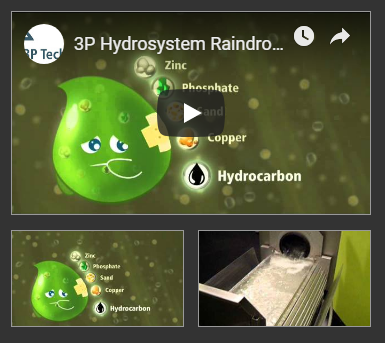 As is the case with all 3P products, the Original Water Post is of the highest quality. It is UV-resistant, weatherproof, and made of the best quality plastic. 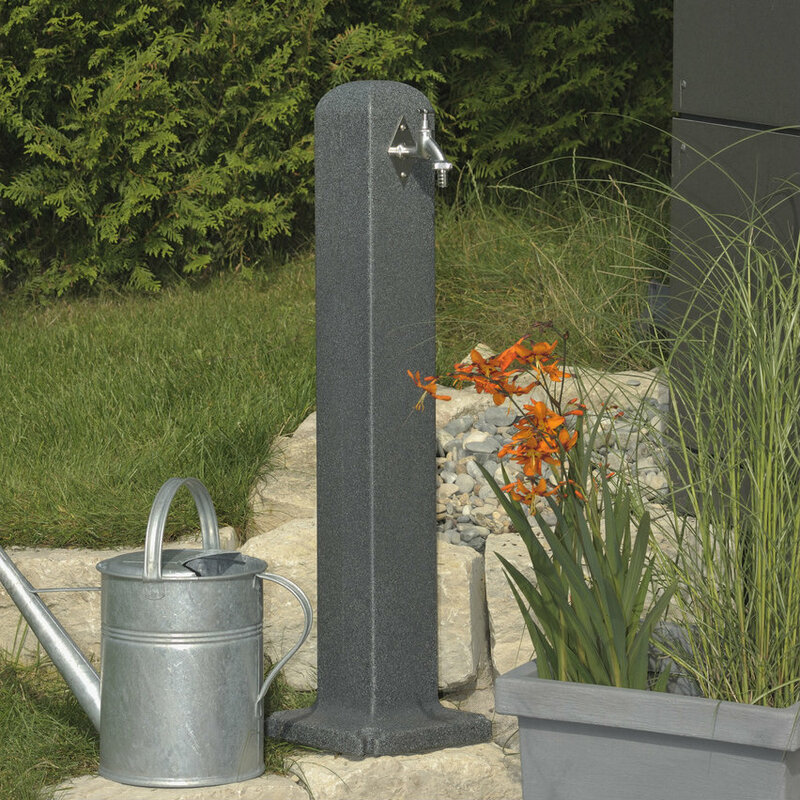 The Natural Stone Watering Post provides easy access to water for outdoor gardening and cleaning and is ideally suited to use with a rainwater harvesting system. 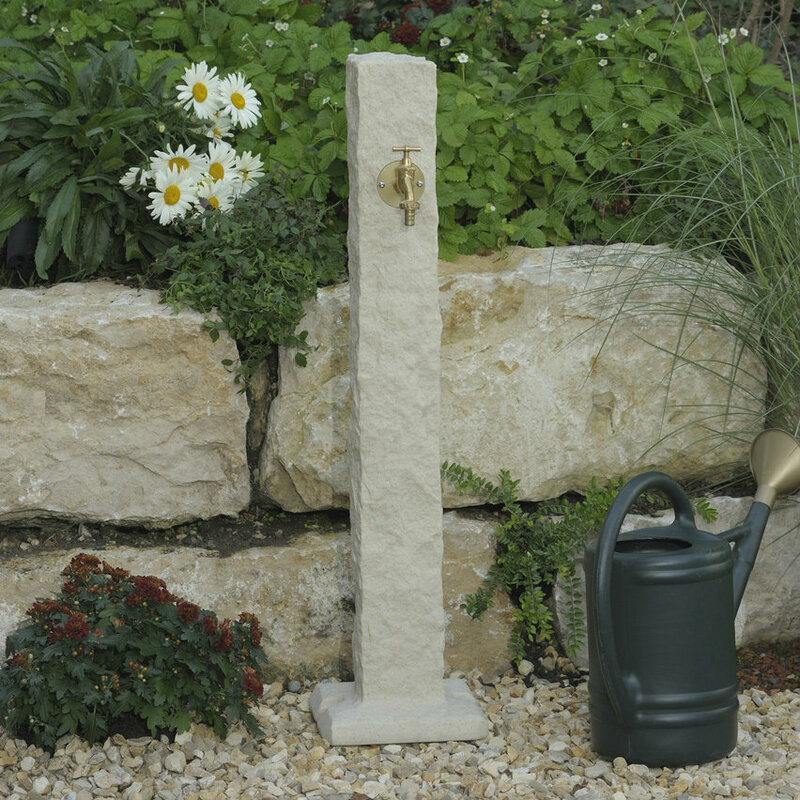 As is the case with all 3P products, the Natural Stone Water Post is of the highest quality. It is UV-resistant, weatherproof, and made of the best quality plastic.